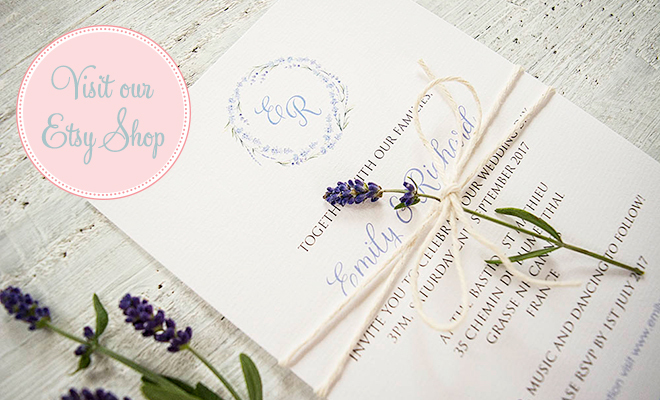 The ‘Ritz’ pocketfold wedding invitation comes with a vintage monogram design. Choose a 5x7in (178x128mm), DL (100x210mm) or square size (150x150mm) pocketfold, available in many different colourways. Add RSVP, or insert cards with gift list, directions or accommodation information for your guests. 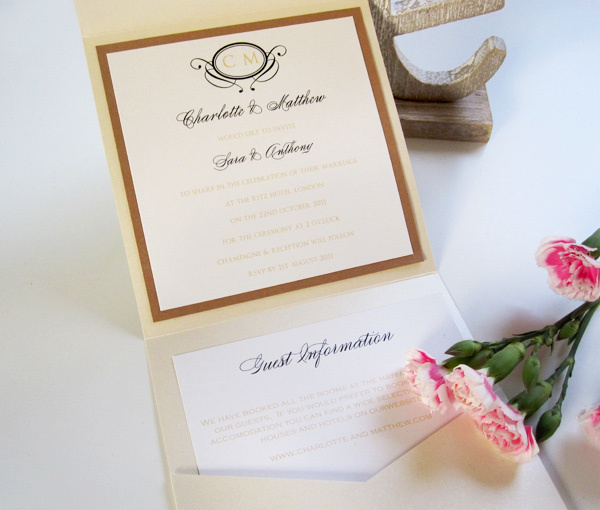 It is also available in a flat style, with 2 card layers, if you do not require a pocketfold.